Based at the University of Bordeaux in the Institute of Molecular Sciences (ISM), the CyVi Group is an interdisciplinary group of scientists working on research methods of and applications to sustainable chemistry and life-cycle assessment. The objectives of the group’s research are to implement green and sustainable chemistry and engineering to advance the state of the science while providing services for key economic sectors in the region and beyond, such as aerospace and agri-food. The group consists of an interdisciplinary team of students, researchers, and faculty members whose backgrounds include chemistry, environmental and process engineering, toxicology, biology, and public health, among others. Guido is a full professor of sustainable chemistry and material management at the University of Bordeaux. 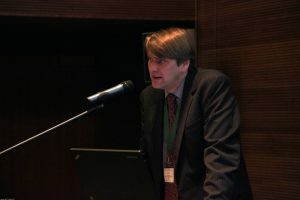 Before joining the University of Bordeaux in 2012, he worked as a UNEP Programme Officer for Innovation and Life Cycle Management. In this function, he also served as the Science Focal Point for the UNEP’s Resource Efficiency/ Sustainable Consumption and Production (SCP) subprogramme. He holds a PhD in Chemical Engineering from the University Rovira & Virgili, Spain (2002), M.Sc. in water biology and chemistry from the University of Poitiers, France (1996), and graduated as an engineer from the Technical University of Berlin, Germany (1995) with a specialization in environmental engineering. 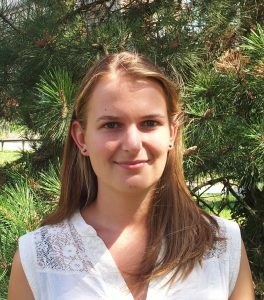 During her PhD, which she conducted at the CyVi group, Dieuwertje developed new procedures to model recycling in Life Cycle Assessment and applied them to different types of materials, among which rare earth elements. She works now as postdoctoral researcher on environmental and criticality assessments of primary and recycled materials.